Strong hair stimulation. Hair energy & anti aging. Symptomatic hair loss. Strong hair stimulation (does not contain Minoxidil or 5-Alpha-Reductase inhibitors). The restructuring and moisturizing capacity of Hyaluronic Acid, supplies the skin with exceptional hydration and very remarkable biostimulation effect. Hyaluronic Acid is known for its power in restructuring the intercellular matrix, allowing more efficient natural exchanges between cells (from which hair roots cells) and matrix. 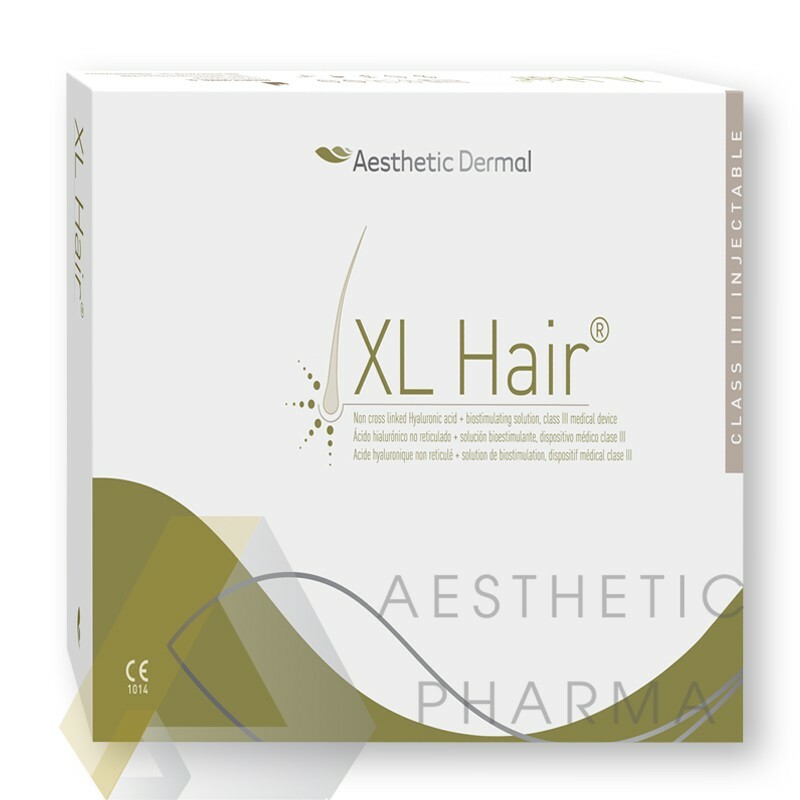 XL Hair® is therefore a product specially formulated for the hairy dermis (scalp but also pubis or eyebrows), since the biorevitalisation and carrier effects of Hyaluronic Acid (5 mg) are assisted by a specific bio revitalization solution for hair loss treatment. Hyaluronic Acid is from biotechnological, non animal origin. RRS® is a powerful tool for doctors who need high quality, CE Class III injectable products which are highly effective and safe. Recomended for patients: No limit of age. 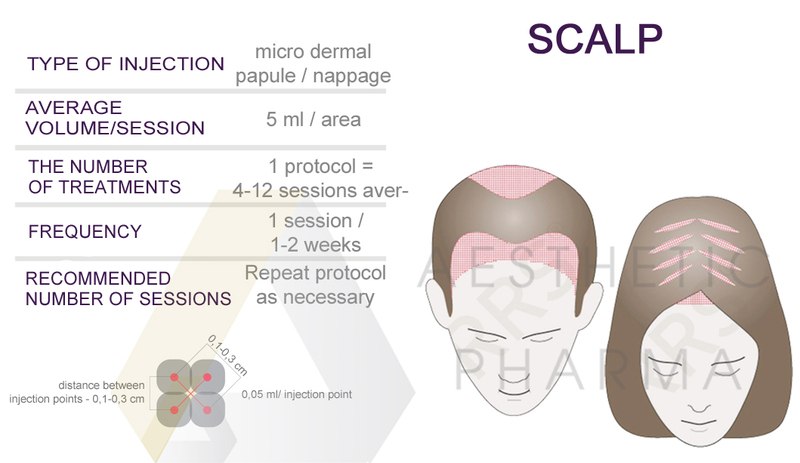 Type of injection: micro dermal papule or nappage. Frequency: 1 session / week (1 protocol = 4-12 sessions average), 1 session / 2 weeks (2 months). Recommended number of sessions: repeat protocol as necessary. hair energy and anti anging. antioxidants: Vitamin E, Chlorogenic Acid, Gallic Acid, Quercetin, Kaempferol. The price is for 1 vial with 5 ml of the preparation. The whole package contains 6 vials with 5 ml of the preparation each.